As revealed in the latest Census reports, it’s very clear that with the growing population and the increased opportunities in metropolitan areas, a large portion of Australians are choosing to live in inner-city apartments. Nationally, seven in 10 people are opting to reside closer to work. This should come as no surprise then when there has been a rise in popularity of both serviced and corporate accommodations, with this sector accounting for approximately 30-35% of all inner-city apartments (within a two kilometre radius of the city). This means more businesses and travellers are looking for high-quality accommodation to create a home away from home, often for days, weeks or even months at a time. There are important questions to ask: what does this mean for developers? What do developers need to consider when creating the marketing campaign for the property? It is important to have a comprehensive understanding of the motivations of buyers. Developers need to incentivise potential buyers and show the benefit of what a property has to offer such as location, amenities, design and infrastructure as these will all ultimately lead to a profitable outcome. Quality is king. It’s key to attracting buyers and there’s only so much you can do with a property that’s not quite up to standard. Whether you’ve hit the jackpot or not often comes down to location and design. In order to effectively market a property to a buyer, developers need to understand what buyers want and be able to sell the lifestyle they (and in turn their potential tenants) could have if they sign on the dotted line. This element of lifestyle is incomplete without the right design and a customised furniture package like PPS Tailored Furniture Solutions provides can bring the apartment to life and enhance your prospects. People are looking for unique solutions. 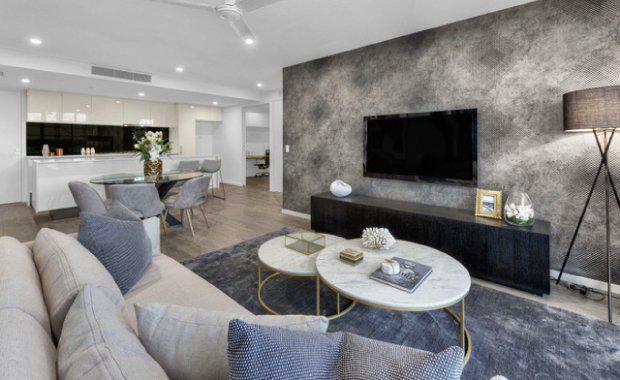 PPS Managing Director, Marc Conias says developers should consider the layout and location of the apartment and what kind of furnishings the apartment needs to create an inviting and welcoming space. “Buyers and renters often seek something that’s tasteful without going overboard, bright and light is best, whilst matching the internal finishes of the Apartment. Correct sizing of the furniture sitting within the space is also critical.” Mr Conias said. Fitting out a unit or apartment with the right furniture will not only transform each room, but also provide financial benefits to buyers who may decide to rent out their property as this can increase rental yield. A large portion of units being purchased are investment properties and not owner-occupied. Due to this, buyers who are looking to invest are looking for the most profitable and savvy business decision they can make. The increase in developments catering for short and extended stays provides more choice for tenants offering them a more personalised living experience and giving the buyer a plethora of benefits, which the developer needs to position front-and-centre. This includes: a fixed and guaranteed rental income; lower fees – no management fees resulting in a higher return; maintenance taken care of, and one of the best benefits of all – a greater appeal to tenants. With the rise in popularity of investors turning to serviced/corporate accommodation, it’s crucial for developers and property marketers to set their properties apart rather than drowning in a sea of choices available to prospective buyers.